Another amazing piece of jewelry from Hobe. The original Hobe’ Cie was founded in Paris in 1887. 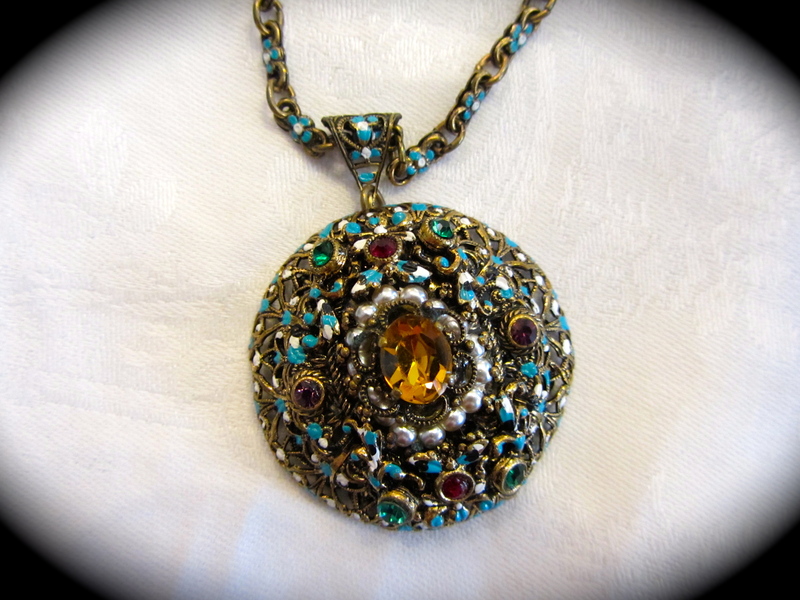 This family tradition of making jewelry was brought to the States in the 1920’s. 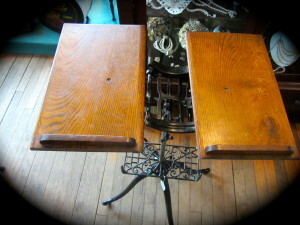 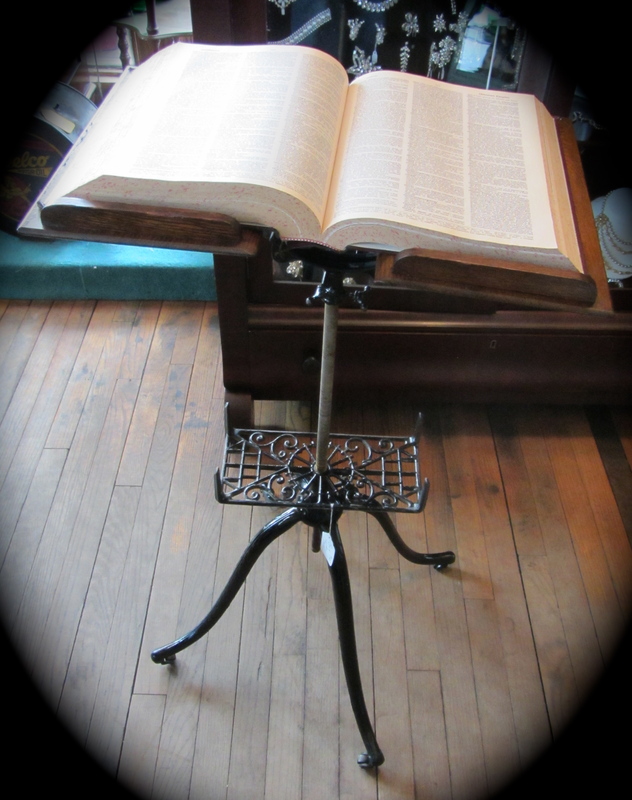 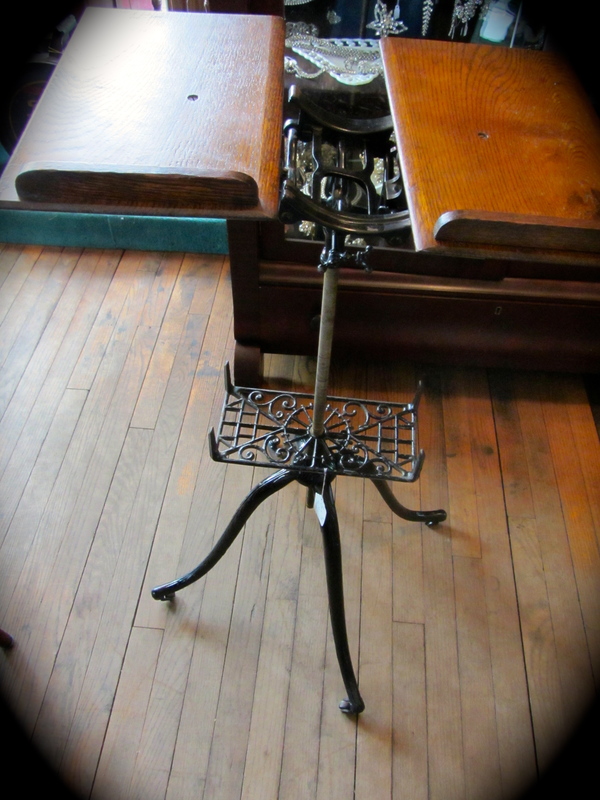 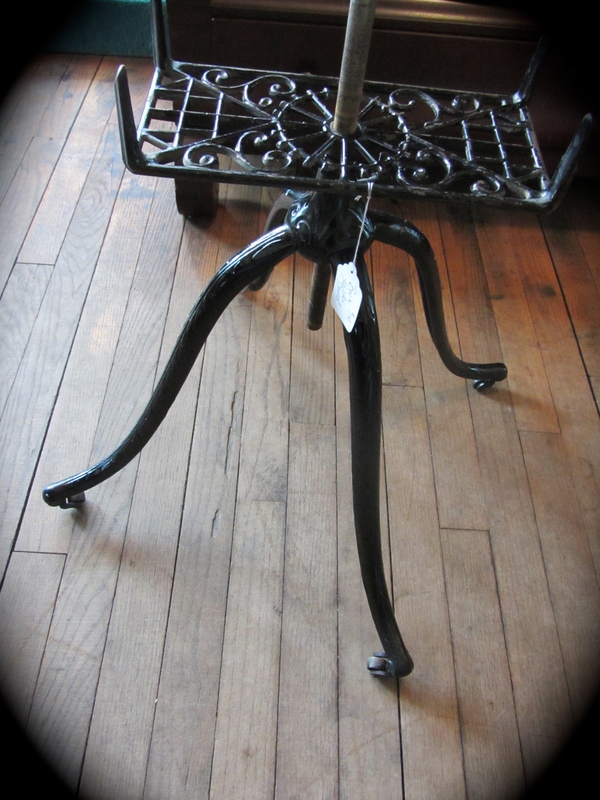 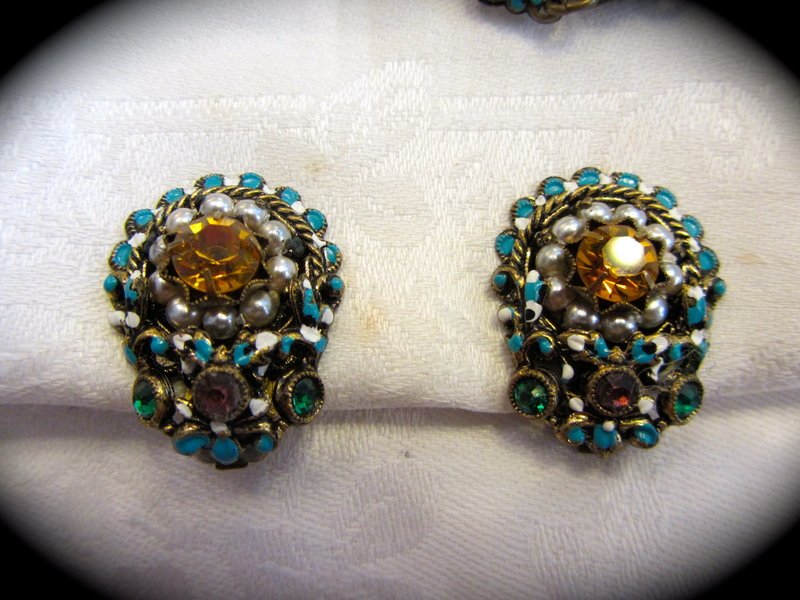 They were a major supplier of pieces for the theater and film during the 1940’s and 1950’s. 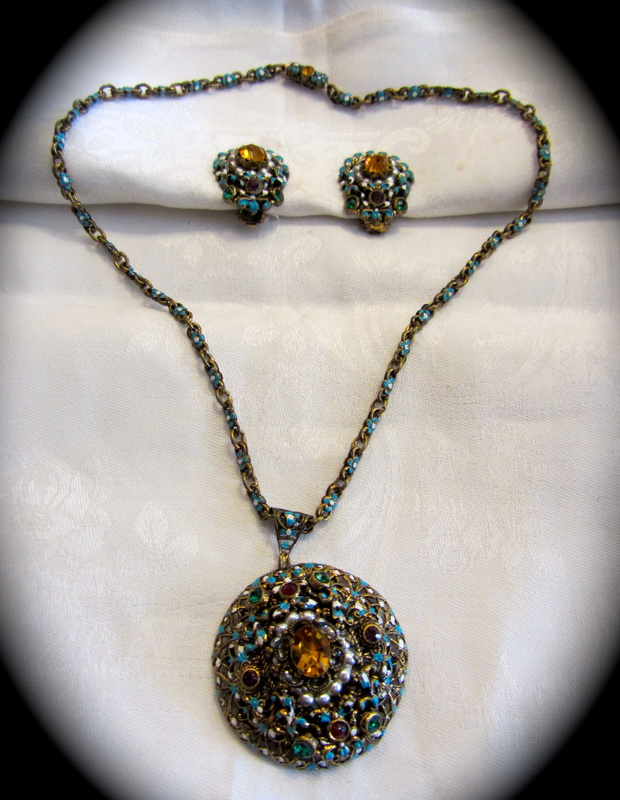 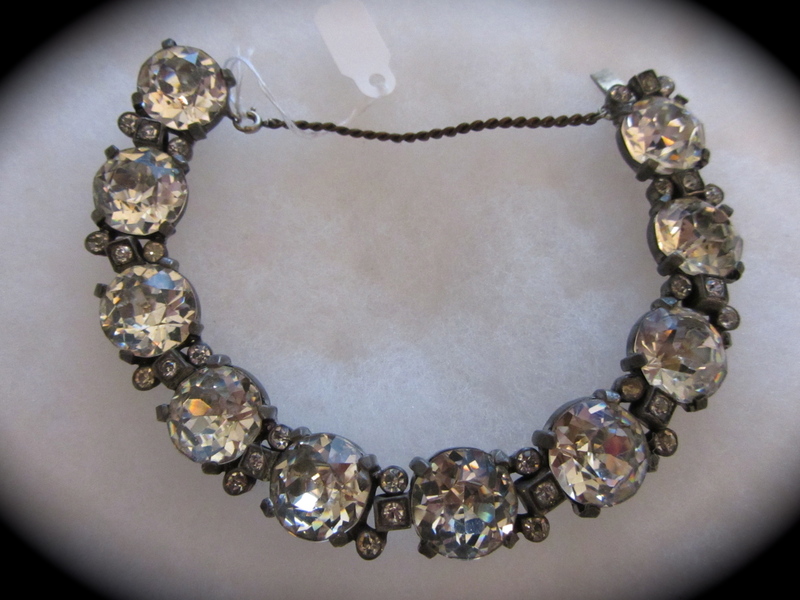 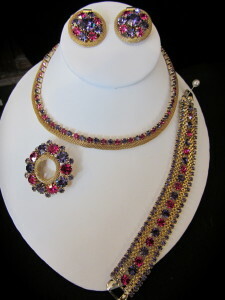 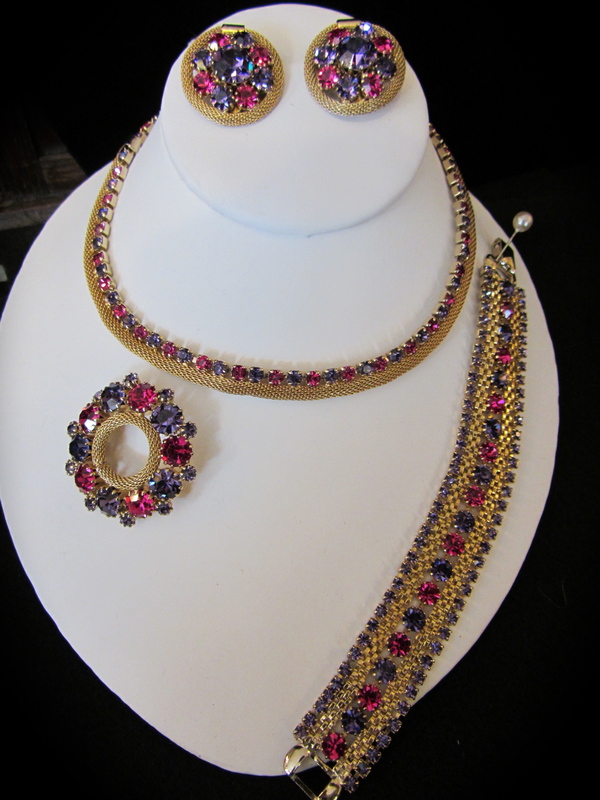 This necklace and earring set is in great condition with no damage or “dead” stones. 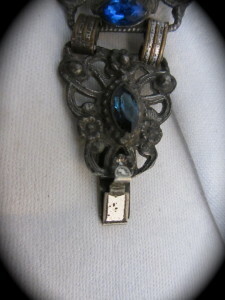 The necklace and earrings are all marked: “Hobe”. The necklace is four strands with cream colored beads that have gold flecks in them. They are spaced apart by an aura borealis crystal. 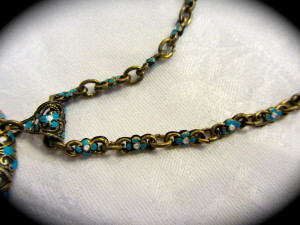 Each strand is on a chain, not wire or string. This is a great indication of the craftsmanship. 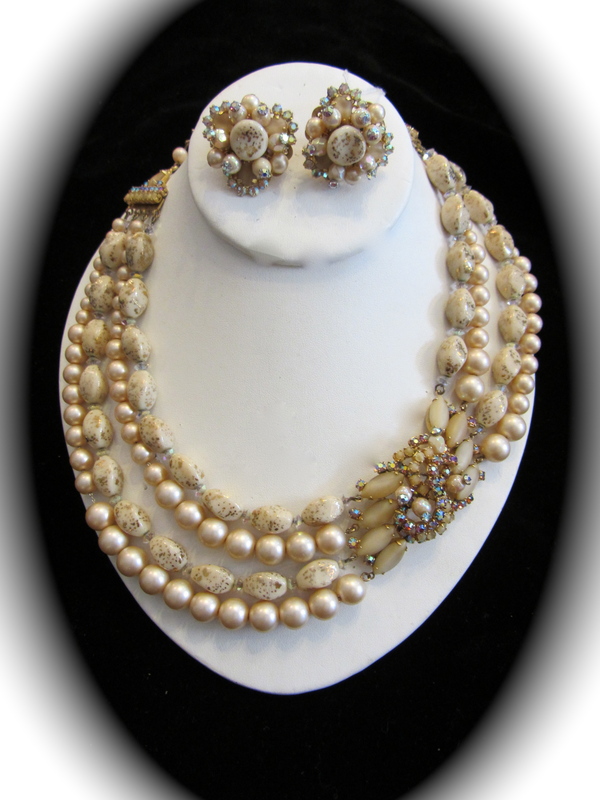 There are also cream colored pearls or beads. 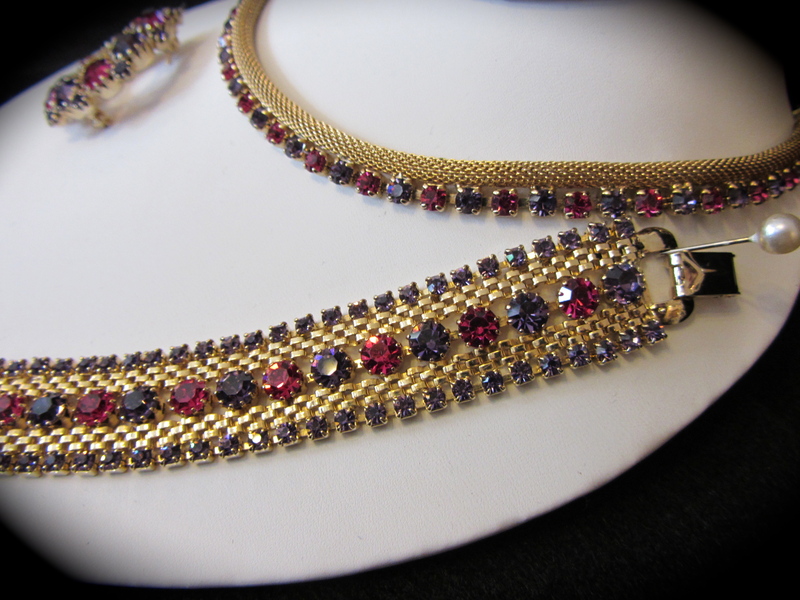 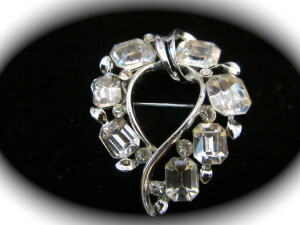 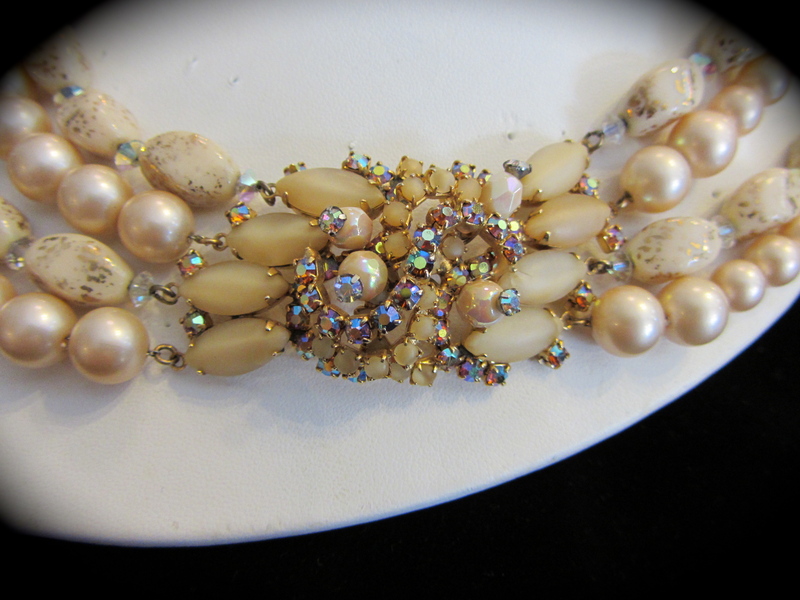 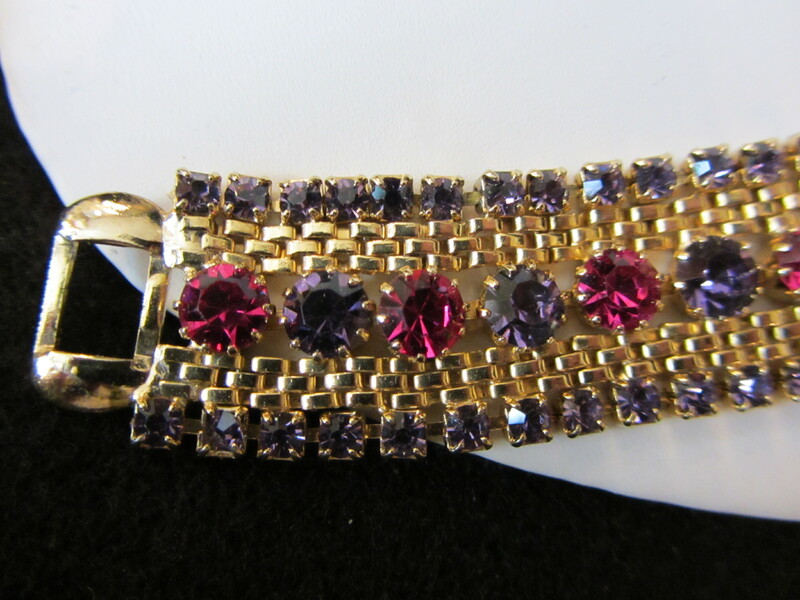 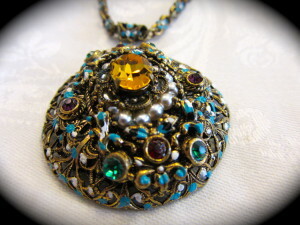 The “pendant” part of this necklace has prong set beige navette rhinestones with square aura borealis ones in-between. 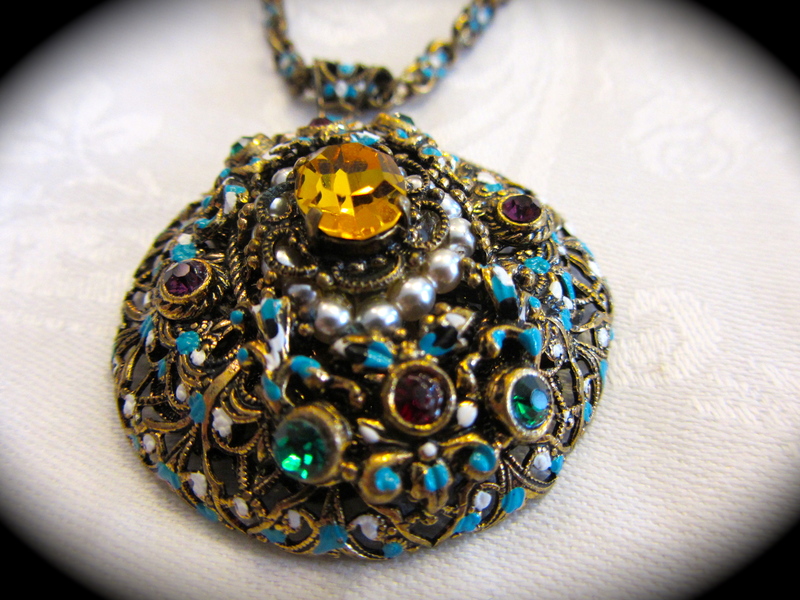 Quite stunning! This does sit on the side and not dead center, very avant guard! 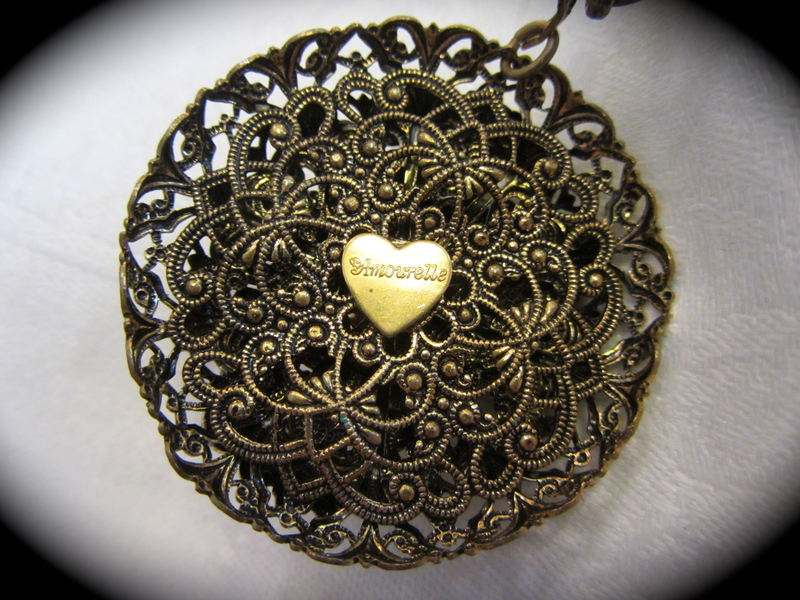 The necklace measures 17″ and is on an adjustable type clasp. 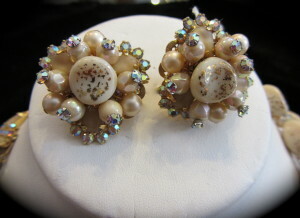 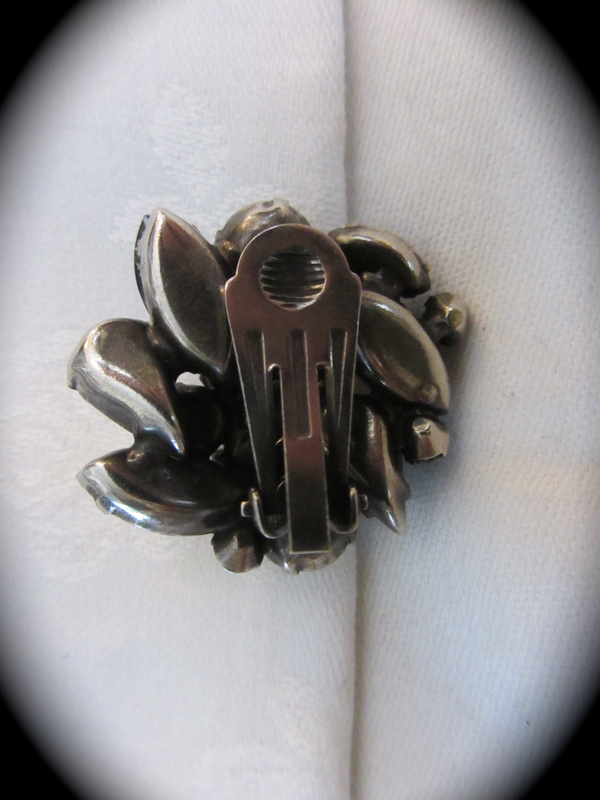 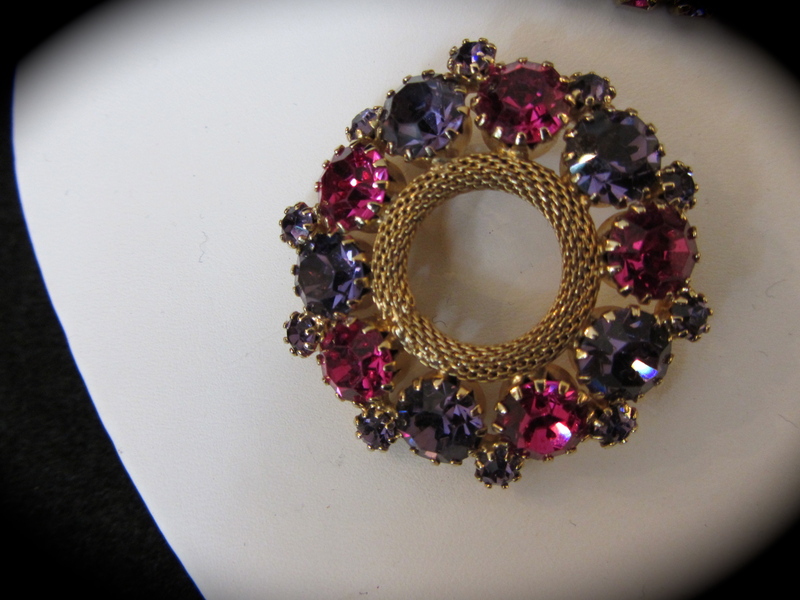 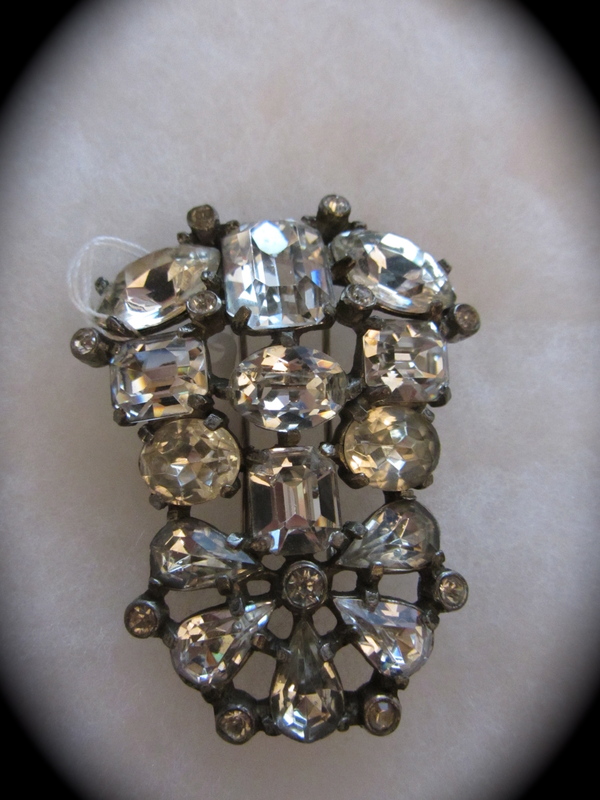 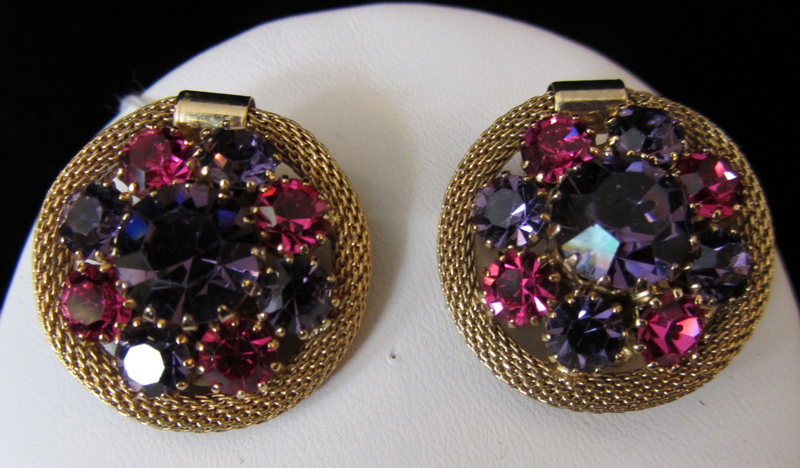 The earrings are clip and a “button” style measuring 1 1/4″. 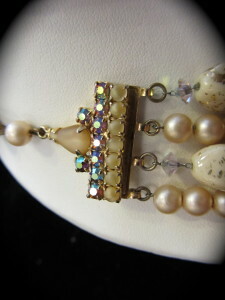 The center of the earring is the cream colored bead with the gold flecks. 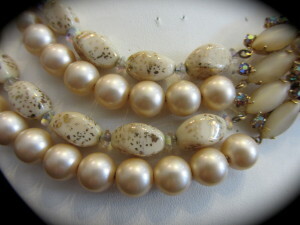 Surrounding that are pearls with aura borealis rhinestones sticking out of the center. 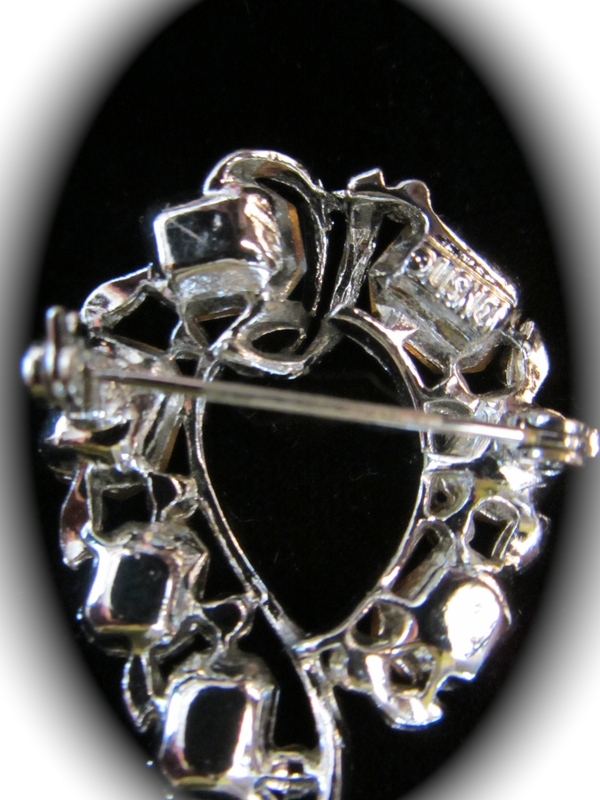 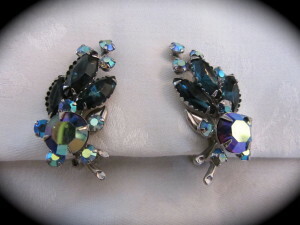 The outside of the earring has a scalloped edge of prong set aura borealis stones. 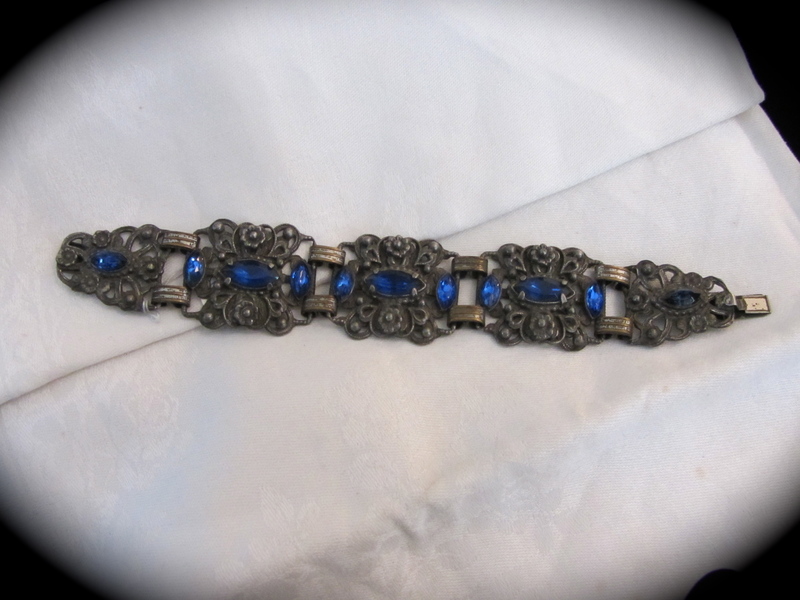 This bracelet has a mark from the 1930’s. 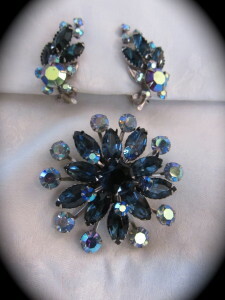 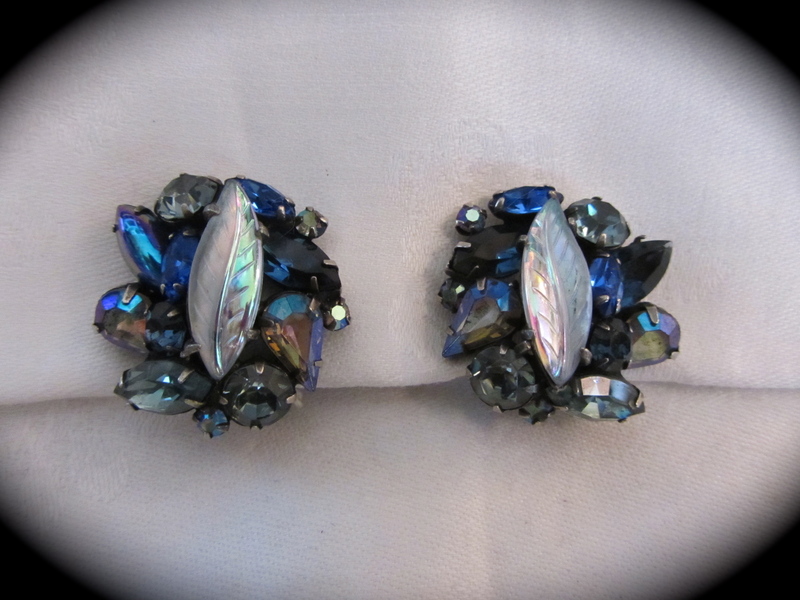 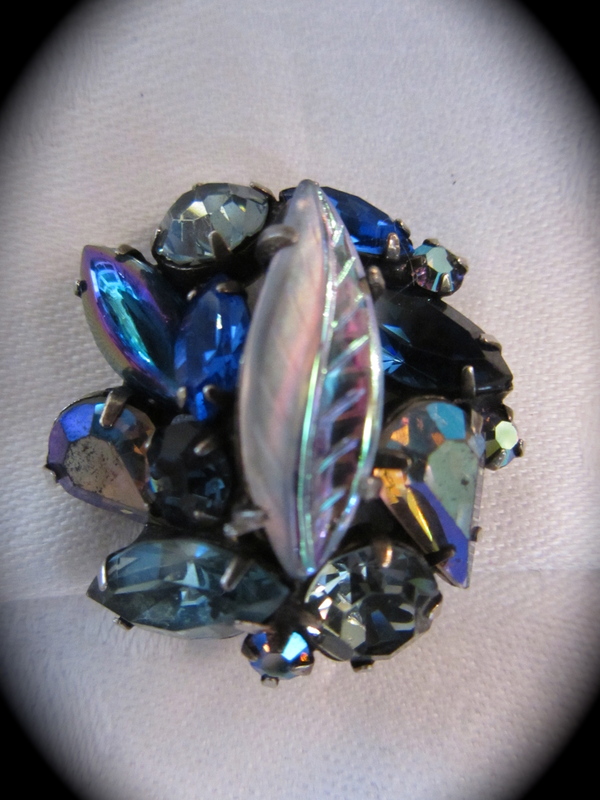 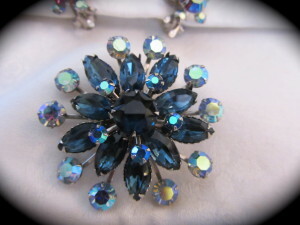 Vintage Kramer earrings in beautiful shades of blue with aura borealis stones too. 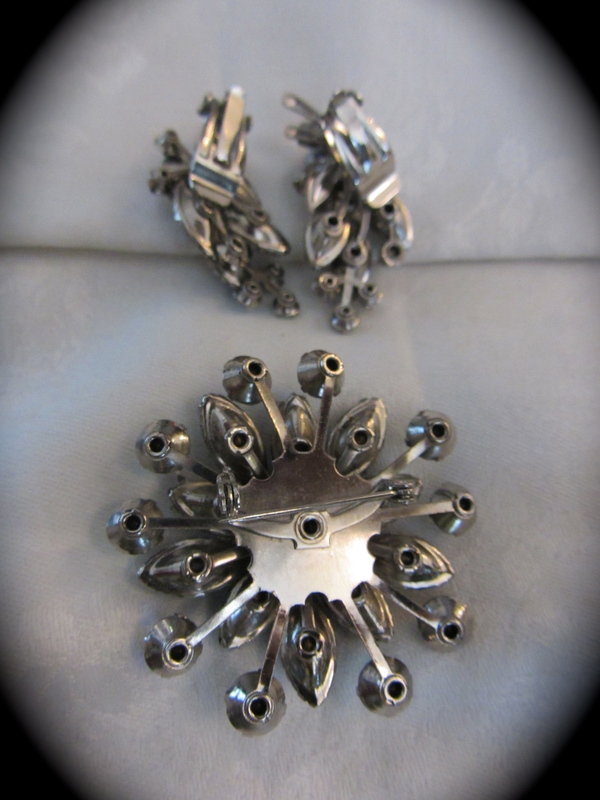 All these are a prong set. Center stone is a sculpted leaf with veins. 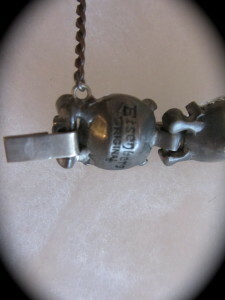 Such detail for such a small item! These clip style earrings are signed: “Kramer” on the back. 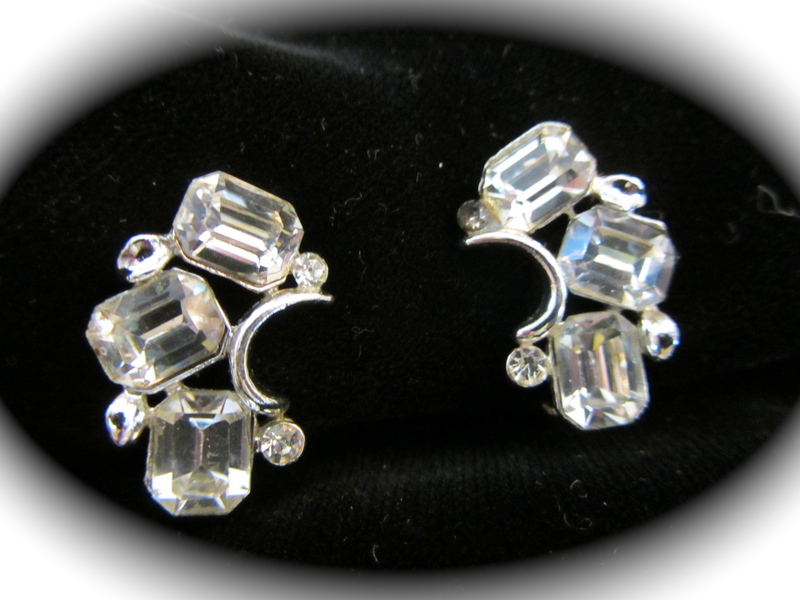 They measure about 1 1/2″ in diameter. 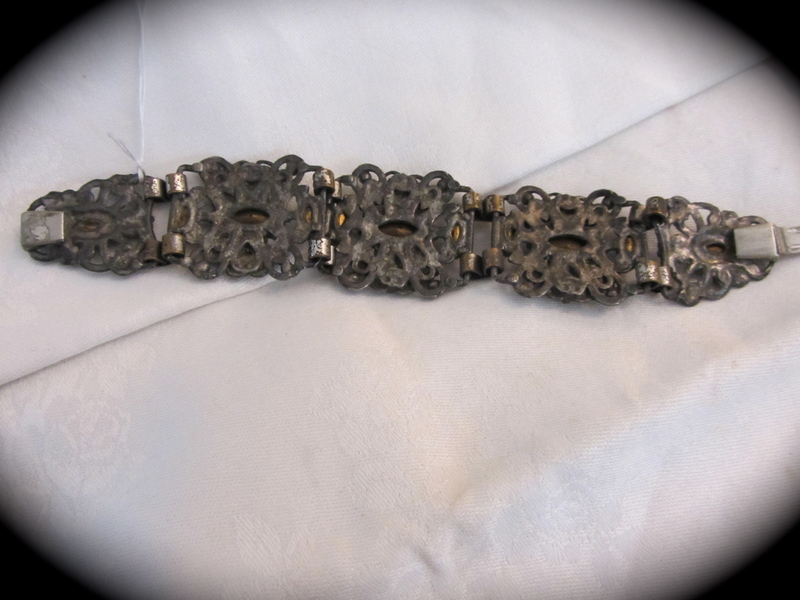 Vintage Blue Bracelet that measures 7″. All the stones are there, the center ones are prong set. 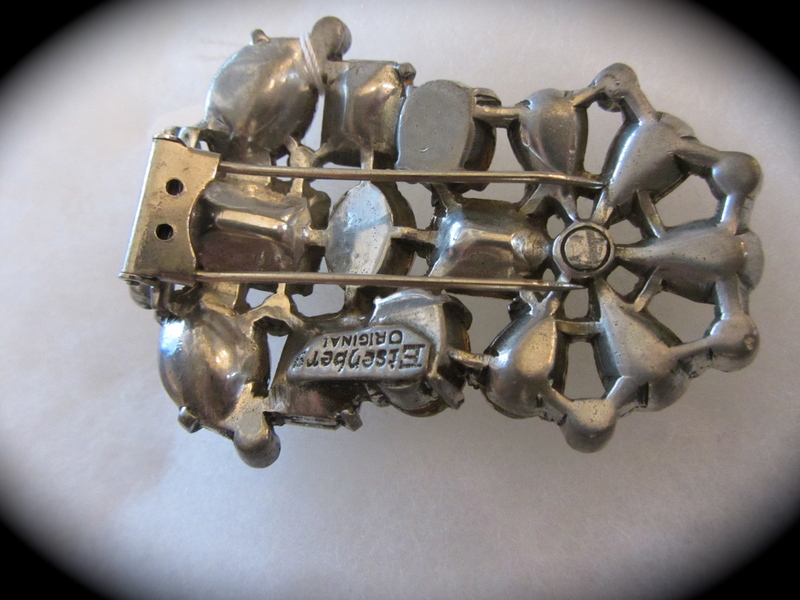 The bracelet is a “pot metal” that was used in the 1930-40’s because they couldn’t use any sterling (the war was on). 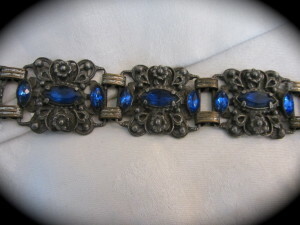 Floral filigree work on the metal. No signature. Tab-style closure. 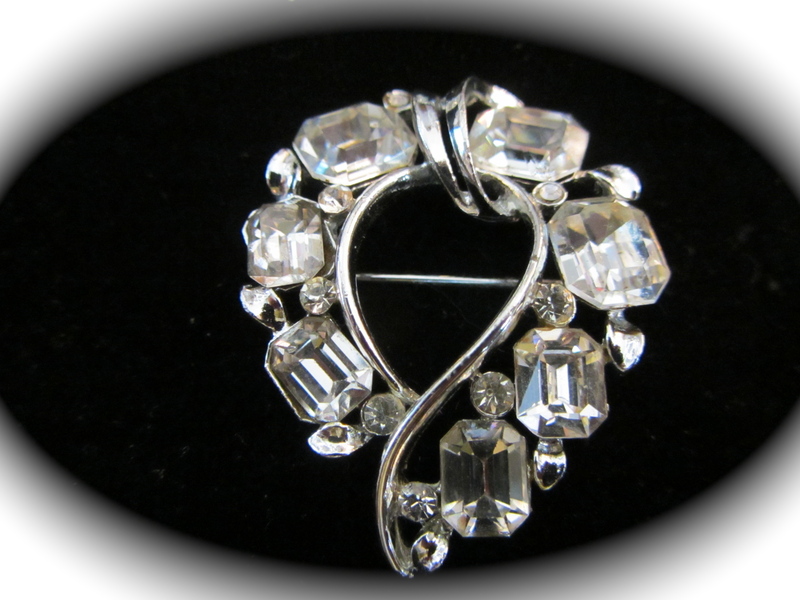 Very nice vintage set with matching earrings and brooch and all signed: “Lisner” on back. 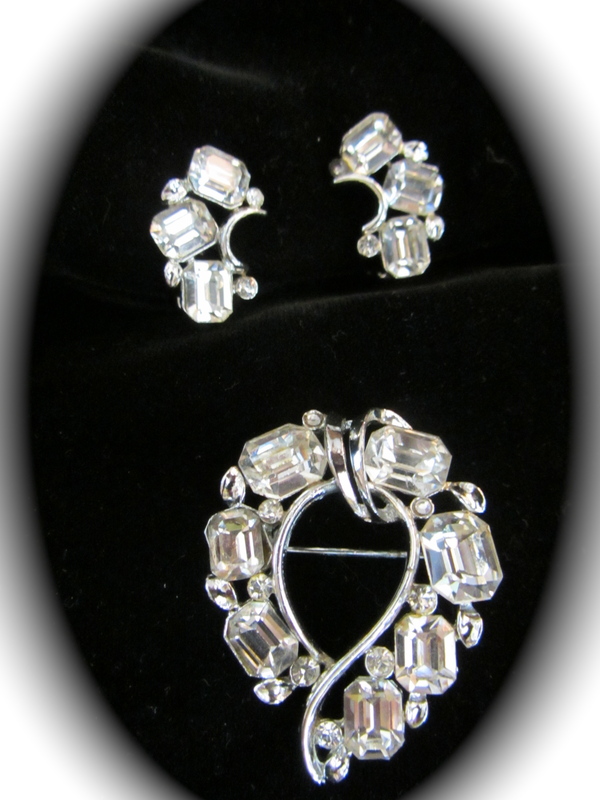 All three pieces are set in rhodium. 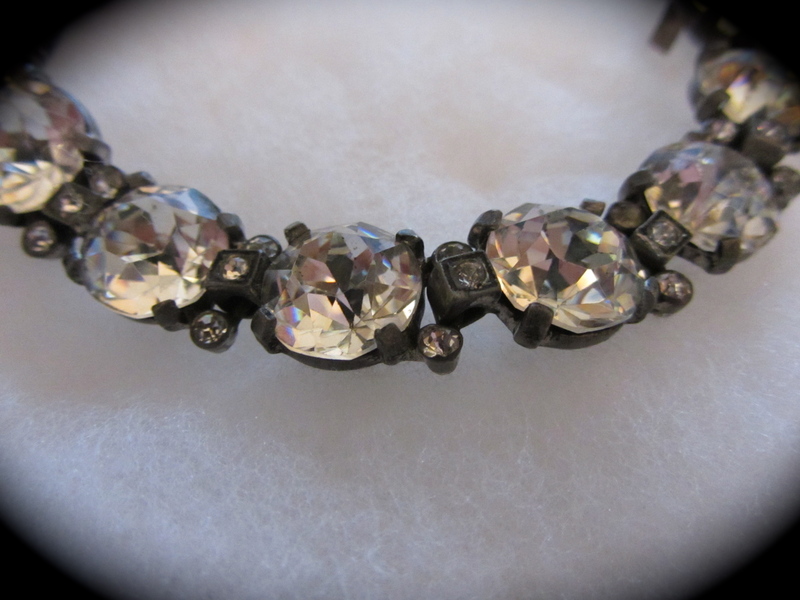 The clarity to the stones is amazing, the camera does not do it justice! 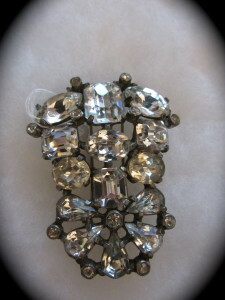 Oval or Tear -drop shaped brooch that measures about 2″. The earrings are a clip style and measure 1″.